Gaelic (and Celtic) have been fortunate at various key points to secure the backing of various Principals in the University which can be seen as early as the time of Principal Story, 1898-1907. Many of the Principals that followed Story have also been helpful and proactive in developing the place of Celtic and Gaelic. In earlier centuries, although Gaelic had no place at the University, at least three, and probably a fourth principal, were Gaels themselves – although there is no official record of their ability to speak Gaelic. 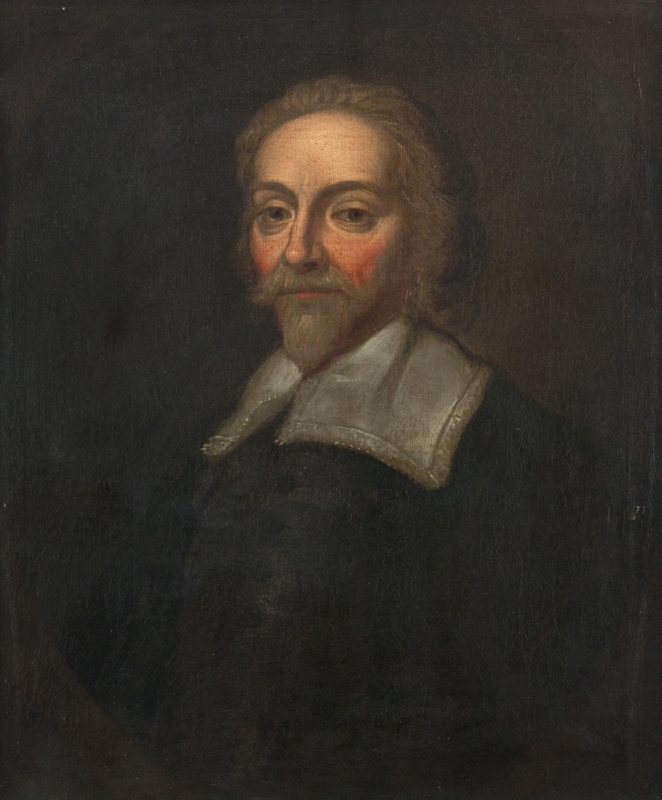 The earliest, and least certain of these four, of these can be tentatively identified as Mr John Cameron (1622-23) although there are question marks over his background. More certainty is possible with Mr Niall Campbell (1728-61), the Rev. Donnchadh MacFarlan (1823-57), and Professor Sir Donald MacAlister, principal of the University between 1907-29 and then chancellor, 1929-34. Each of these men were prominent in their day and all merit entries in the Oxford Dictionary of National Biography and, of course, the University of Glasgow Story. None of these accounts or descriptions, however, makes much, if anything, of the Highland or Gaelic dimension. This approach is understandable as those individuals considered here did little, themselves, to publicise their Gaelic background. These individuals have excellent conventional biographies elsewhere but this section will concentrate on their Gaelic context. Mr Iain (John) Cameron, Principal, 1622-23…. …and, a Gael ? As there is so little evidence for peoples’ Gaelic-speech, it is often difficult to identify people as Gaels. This is the case with the prominent theologian, minister and scholar, Mr John Cameron (1579-1625), who was principal of the University of Glasgow, 1622-23. Cameron spent several years as a theologian in various locales in Europe and as a Professor of divinity at the Protestant University of Saumur in France. He was a controversial character who challenged orthodox Protestant doctrines in both France and Scotland. Little is known for certain about his origins and although he is said to have come from Glasgow, mention is made of the Saltmarket, but his family connections are unclear. Cameron was undoubtedly educated at Glasgow (MA 1599) and it may well be that he was a native of Glasgow which seems to be the version which has the most credence in differing accounts of his origin offered by various sources. One of these accounts states that his father was a burgess of Glasgow. This image ( right) of Mr John Cameron was made many years after his death (1625) by John Scougall (1645-1737), presumably using a lost likeness of Cameron. Scougall’s painting is reproduced here by kind permission of the Hunterian, University of Glasgow (© The Hunterian, University of Glasgow 2013). According to Clan Cameron histories, however, John Cameron, the divinity Professor was the son of another John Cameron, the father having been a priest prior to the Reformation, before becoming the first Protestant minister of the Gaelic speaking parish of Dunoon, 1560-1590. Mr John Cameron (elder), this minister of Dunoon was charged with the education of Ailean mac Dhòmhnaill Duibh, or Allan Cameron of Lochiel (c.1560-1647), who became chief of that clan. If this is correct, it may be that one of the Principals of Glasgow University received his education in the company of his clan chief, in a Gaelic setting (at Dunoon). It can not be said for sure that John Cameron, Principal, 1622-23, was a Gael from Dunoon – but it has to be raised as a possibility and seems as least as credible as the accounts of his background offered elsewhere. Niall Campbell (1678-1761) was a native of Glenaray (or possibly Claonairigh nearby), Argyll: a son to Major Iain Campbell and Sìne Campbell from Pennymore. This area was Gaelic speaking at this time. The Synod of Argyll were keen to train able and godly youths who would study divinity and, it was hoped, return as ministers to an area struggling with a shortage of Gaelic speaking clergy. Niall Campbell attended the University of Glasgow between 1693 and 1697 appearing in the records as ‘Nigellus’ Campbell in 1697. Niall was licenced to teach by the Synod in 1702. His first charge was the huge parish of of Kilmallie in Lochaber, a Highland and Gaelic speaking parish (which included Fort William). He went from there to be minister in Rosneath, Dumbartonshire, in 1709. This parish required a Gaelic speaking minister at the time and there were still, as late as 1720, still 26 families in the area who understood no English. Indeed, when Mr Niall Campbell left for Renfrew in 1715, his former parishioners were left without Gaelic provision. 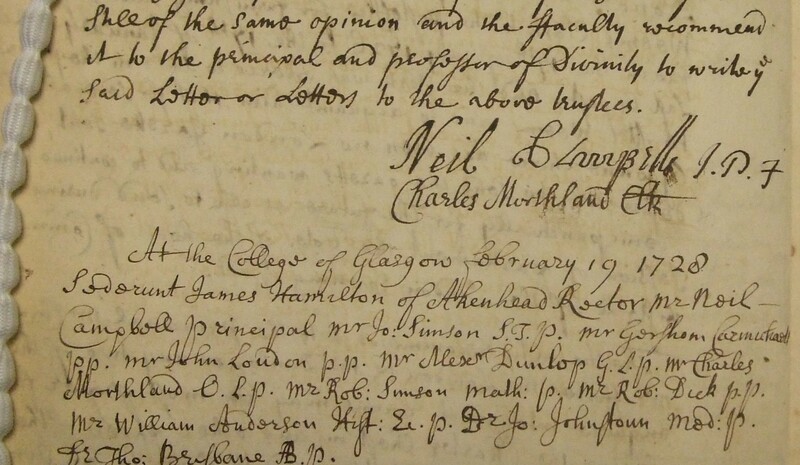 Niall Campbell remained in Renfrew until he was appointed as Principal of the University of Glasgow, 1728. Detail of the Faculty minute book, the University of Glasgow, 1728, showing the Principal’s signature.This image reproduced by permission of Glasgow University Archive Services, ©University of Glasgow Archive Services, GB0248, GUAS, GUA, 26635/28. Campbell remained as Principal until his death in 1761. He was twice the moderator of the Church of Scotland, 1732 & 1737, and was the royal chaplain (in Scotland) for the Hanoverian monarchs. The following letter from Mr Niall Campbell, then still minister at Renfrew, 1724, four years before he took up his post at Glasgow, shows his interest in the plight of Gaels in the city and the lack of spiritual provision available for them. Campbell’s letter shows that a significant number of these Gaels in the Gaelic community (most of them presumably from Argyll and its environs) in Glasgow could not speak Gaelic. Campbell was a cousin of the Gaelic minister in Glasgow, John MacLaurin (MA Glasgow, 1712) who had been born at Glendaruel and was raised at Kilfinnan, Argyll. MacLaurin and Principal Campbell’s fortunes were both closely bound to the patronage and influence of Eoin Campbell, 2d Duke of Argyll and his younger brother Gilleasbuig, 3rd Duke of Argyll. Although all the surviving evidence for Principal Campbell is in English and although he spent the greater part of his career in the non-Gaelic environment of Glasgow, there can be no doubt that he was a Gael. Mr Donnchadh MacFarlan, Principal, 1823-1858. MacFarlan was minister of Drymen parish until his appointment as Principal of the University of Glasgow in 1823. It is probable that MacFarlan preached in Gaelic given that a number of individuals in the 1790s could not understand English. His father before him certainly did and Gaelic sermons written (probably by the elder MacFarlan who was also noted for his command of Fenian lore) were deposited along with the Principal’s other papers, in Glasgow University Library. 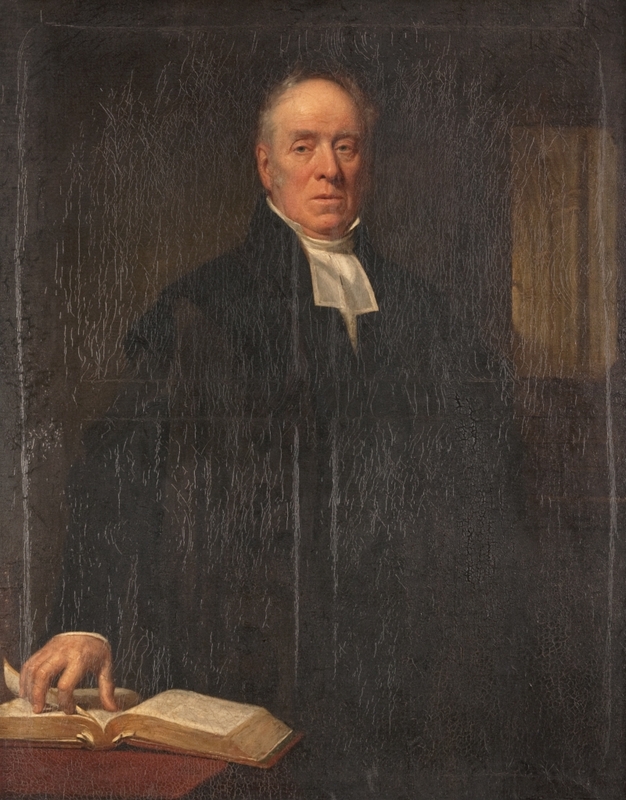 Rev Donnchadh MacFarlan (1771-1857), Principal of the University of Glasgow, 1823-1857. This portrait made by John Graham-Gilbert, 1839, reproduced here by kind permission of the Hunterian Museum and Gallery, University of Glasgow (© The Hunterian, University of Glasgow 2013). MacFarlan’s intervention was successful and and the Rev Daibhidh Stewart went on to become a minister in parishes of Kinlochspelvie (1828) and then Ardnamurchan & Island Finnan (1844). MacFarlan was also a member of the steering committee for the Glasgow Bible Society (1847) which was responsible (among other things) for the distribution of Gaelic scriptural materials. MacFarlan was also, as his father had been before him, a member of the Glasgow Highland Society from 1827, which was an another venue in which he would have mixed with many Gaels. Principal MacFarlan took a direct interest in the distribution of bursaries for Gaelic speaking students in the 1840s. The members of An Comann Oiseanach mentioned him, 22/11/1834, not only in terms of their respect for him as Principal but also as someone who could help them in their campaign to distribute copies of An Teachdaire Gaidhealach throughout the Gaidhealtachd. 1898-1907 – Professor Robert Raibeart H. Story. 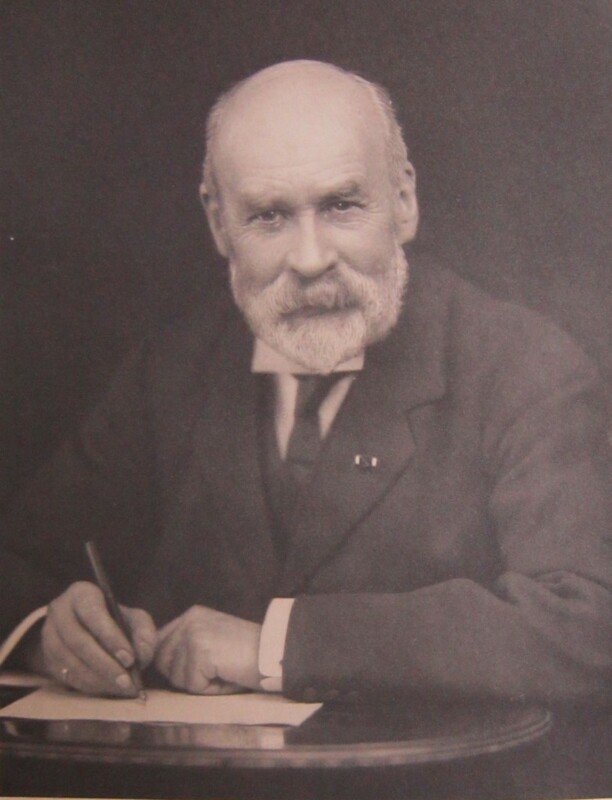 The Principal at the time that Gaelic became established as a subject of study at the University, Professor Robert H. Story (1835-1907) was not a Gaelic speaker. Story was a son of the minister of Rosneath, a district where Gaelic speech had greatly declined but was still spoken by 10% of the population as late as 1891. Story’s father, the Rev Robert Story (1795-1860) wrote an account of the parish for the New Statistical Account in May 1839 which noted the strong historical connections of that district with the Gaelic language. The younger Robert, the future principal, will undoubtedly have heard Gaelic being spoken around him in his youth by the older people in the district even though English was by far the most prevalent speech. Robert H. Story became successively minister, theologian and a professor of Church history. He was also Moderator of the Kirk and a chaplain to the royal family. He showed an interest in the Highlands, if not Gaelic, throughout his career. 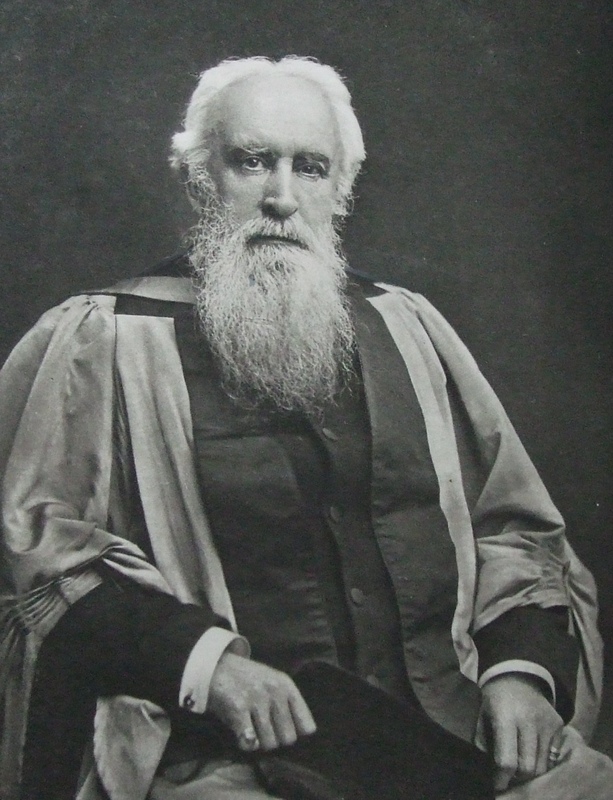 1907-1929, Sir Donald MacAlister, Principal of the University. Sir Donald Macalister was an accomplished scholar of mathematics and medicine and a skilled medical administrator. While Celtic had benefitted from the support of Principal Story, this was continued by his successor and Celtic and Gaelic was fully established as a subject of study at the University. Sir Donald had grown up in a Gaelic-speaking household and family worship was conducted in Gaelic during his youth. Although he was born in Perth his parents were Gaelic speakers from Argyll with Skye connections – and they got married at the Gaelic church on Hope Street in Glasgow (GH, 25/01/1908). Sir Donald proclaimed his pride in his Gaelic heritage and was supportive of Gaelic education – not only at University level but also spoke in favour of Gaelic medium education in schools throughout the Highlands. (GH 06/07/ 1908). Sir Donald MacAlister. This image taken from the book, E.F.B. MacAlister, Sir Donald MacAlister of Tarbert (London, 1935). Accounts can been of Sir Donald’s views on Gaelic in reports from the Glasgow Herald on the ‘press cuttings’ section of this website (25/01/1908 & 06/07/1908). The Clan Cameron account describes their connection with Cameron, the principal of Glasgow and famous theologian as follows: “[Cameron of] Locheil’s nurse, for the safety of his person, conveyed him privatly to Mull, where he remained during his infancey under the tutelage of Lachlan Maclean of Doward, his uncle, who thereafter made the choice of McGilvraw of Glencanner to be his foster-father. With this gentleman he, according to custome, continued until he was fitt for schoole, and the care of his education was intrusted to Mr John Cameron, minister of Dunune, his kinsman and a person of great probity and learning, by whom he was trained up in the Protestant religion, which then began to get a footing in the Highlands. He [i.e. ‘Mr John Cameron, minister of Dunune’] was father to the great Cameron, who was then the most famous Protestant divine living.” This taken from, J. McKnight, ed., Memoirs of Sir Ewen Cameron of Lochiell, chief of the Clan Cameron. With an introductory account of the history and antiquities of that familly and neighbouring clans (Maitland Club, Edinburgh, 1842), 37. FES, iv, 22. FES, vii, 393. Gaelic was spoken from end to end of Glen Aray a century later in the 1790s and undoubtedly was in Campbell’s youth. Even as late as the 1890s 80% of the district spoke Gaelic. OSA, 1791-99, v, p. 303-304. K.C. Duwe, Gàidhlig (Scottish Gaelic) Local Studies (2nd edition, April 2012), 7. For Niall Campbell at the University, see, MAUG, iii, 162. 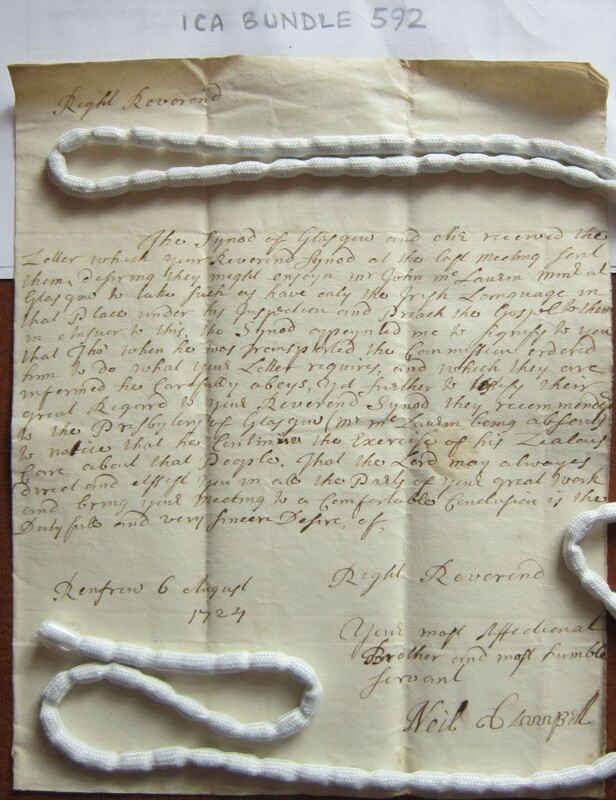 Many examples can be seen of the care the Synod of Argyll took in trying to identify, train and prepare promising Gaelic-speaking youths for a career in the ministry in the seventeenth and eighteenth centuries. D. C. Mactavish, ed., Minutes of the Synod of Argyll, 1639-1661 (Edinburgh, 1943-44), i, 117, 136-137, 159; ii, 86-7. NRS, CH1/2/24/1/1 No. 48. NRS, E 424/8. NRS, CH2/557/14/185. Gaelic was the language spoken from end to end of Kilmallie district in the eighteenth century. Even as late as 1881 some 80% of the population spoke Gaelic. The church took soundings of the linguistic status of the population of Rosneath, due to their need to supply the parish with a Gaelic minister. They were obliged to provide a Gaelic minister as long as the congregations could not speak English. There were 36 families where no English was spoken in 1657 and this number had falled to 26 by 1722. NRS, CH 1/2/46/262-3. For further details of these parishes see: FES, iii, 187, 363. FES, iv, 134. FES, vii, 396, 441. OSA, 1791-99, viii, 430. K.C. Duwe, Gàidhlig (Scottish Gaelic) Local Studies. Vol. 19, An Gearasdan & Loch Abar an Ear – Fort William & East Lochaber (2nd edition, 2006), 8, 22. J. Irving, The History of Dumbartonshire: civil, ecclesiastical and territorial, with genealogical notices of the principal families in the county (Dumbarton, 1860), 412. Paul Wood, ‘Campbell, Neil (1678–1761)’, Oxford Dictionary of National Biography, Oxford University Press, 2004; online edn, Oct 2006 [http://www.oxforddnb.com/view/article/65005, accessed 6 July 2014]. GUL, MS Gen 1378/4-5. Old Statistical Account, 1791-99, vol. viii, p. 549. FES, iii, 339-340. M. Newton, Bho Chluaidh gu Calasraid (2010), xix, 56, 282. A. Gunderloch, Làmh-sgrìobhainnean Gàidhlig Oilthigh Ghlaschu. A catalogue of the Gaelic Manuscripts of the University of Glasgow (Department of Celtic, University of Glasgow, 2007), 14-15, <http://www.gla.ac.uk/media/media_134039_en.pdf>. FES, vii, 397. Lionel Alexander Ritchie, ‘Macfarlan, Duncan (1771–1857)’, Oxford Dictionary of National Biography, Oxford University Press, 2004; online edn, Oct 2009 [http://www.oxforddnb.com/view/article/17492, accessed 6 July 2014]. An account of MacFarlan can also be seen on the University of Glasgow Story website: http://www.universitystory.gla.ac.uk/biography/?id=WH0219&type=P&o=&start=0&max=20&l=. Letter, Principal Story to Lady F. Balfour, 18th February 1904. Memoir of Robert Herbert Story, 359.